Following several long and bloody years of escalating poaching, it looks as if elephants may at last be given a fighting chance. In voting on Saturday to end all domestic ivory trade, the World Conservation Congress in Hawaii of the International Union for Conservation of Nature (IUCN) gave the strongest indication yet that the international community is finally getting its head around one key fact – trade kills. Anti-poaching initiatives and awareness-raising exercises all have a part to play, but EIA has long maintained that they can only ever have a limited impact as long as legal markets exist through which contraband ivory can be easily laundered. The IUCN resolution proposed by the US and Gabon – and opposed only by a handful of pro-trade countries led by Japan, South Africa and Namibia – isn’t just important in its own right; the IUCN is effectively the conservation world’s go-to scientific body and its decisions carry significant weight. The 17th Conference of Parties (CoP17) to the Convention on International Trade in Endangered Species (CITES) opens in Johannesburg later this month and the IUCN resolution should serve as a clear and unambiguous message to delegates as to the course of action they should be taking. For anybody who has found the arguments muddied or compromised by the propaganda of the pro-trade lobby, the take-home fact is that trade bans work – but only if they are rigorously, collectively enforced and not deliberately undermined. EIA takes immense pride in the crucial role it played in helping to achieve the 1989 international trade ban on ivory, providing key data on the scale of poaching. 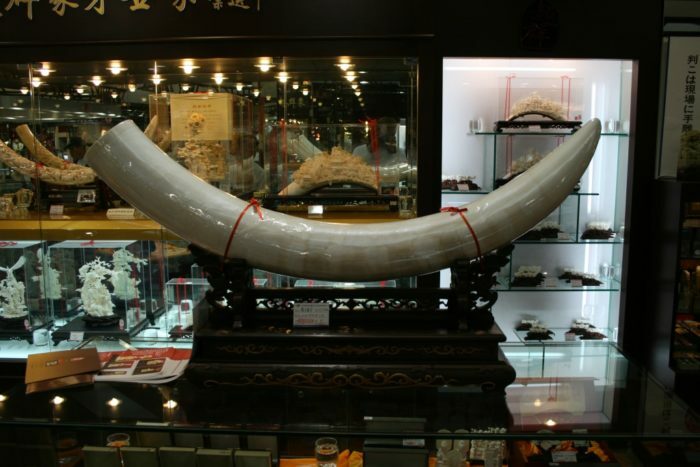 Statistics clearly showed the ban was working – until it was fundamentally undermined by two CITES-sanctioned ‘one-off’ auctions of stockpiled ivory. All these sales effectively achieved was a resurgence in ivory trade which, coupled with consumer confusion and stimulated demand, led inevitably to the return of rampant poaching. The elephant no longer has the numbers nor the time for us to indulge in reckless trade experiments which ultimately serve to enrich a tiny minority at the expense of the heritage of the majority: the natural world. CITES CoP17 offers a crucial opportunity to do the right thing and the IUCN resolution is as clear a road sign as the CITES Parties could hope to have – one that points to rigorously closing down all domestic ivory markets around the world.